If you’ve been following along, you know that we started a Strawberry Rum infusion about a month ago. The strawberry flavor is now quite nice. And while I’m not quite ready to strain and filter the entire infusion, we can easily pour off some of the liquor to use in cocktails. And to kick-start our holiday celebrating, we decided to test out some strawberry mojitos on July 3rd. 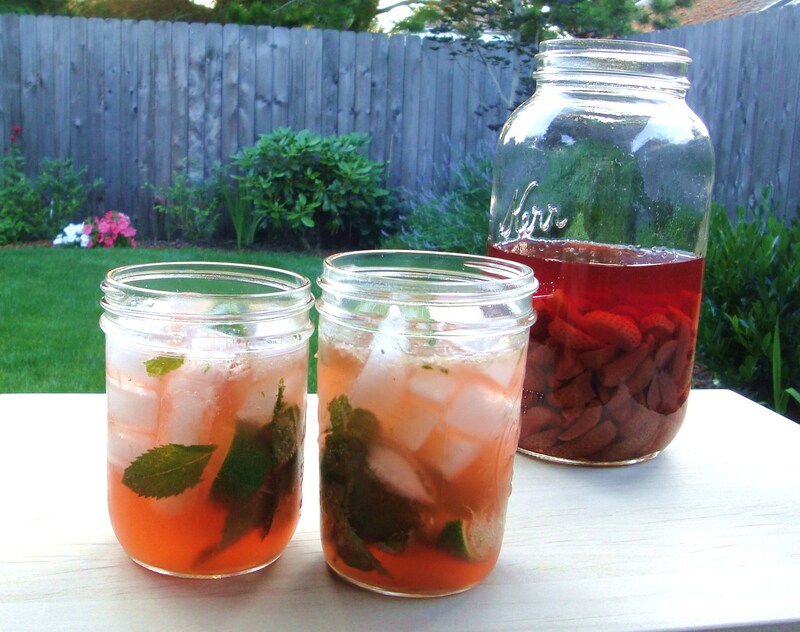 Muddle mint with 1-2 ice cubes in a sturdy glass. Add sugar. Squeeze 3 of the lime wedges into the glass, add the rind and muddle well. Fill glass with ice, add Strawberry-Infused Rum and club soda. Stir, and garnish with final lime wedge, and if desired more mint or fresh strawberries. If you are hoping to make these for your holiday festivities, you could muddle a few fresh strawberries into the glass, and just use regular rum. What a perfect holiday refreshment. Have a fun and safe holiday – Cheers! Categories: Cocktail, Infusion, Recipes | Tags: cocktail, infusion, mojito, recipe, rum, Strawberry | Permalink. I didn’t forget about the strawberries, I promise! I took a little mini-vacation, hiking and beer-tasting my way through Central Oregon. (Both were amazing!) Now I’m back and have just sampled the gorgeous red strawberry infusion. Our last post on the Strawberry Booze infusion was at Day 5, and it still had a fairly weak flavor. At Day 17, the strawberry flavor is starting to get a bit stronger as is the color. I am hoping that the flavors will continue to enhance with more time, so I am still waiting… (fairly) patiently. One thing that I did notice after looking back at the photos from Day 5, is that the strawberries have now sunk to the bottom of the jar. I’m no chemist, so I don’t really know what that means. I’m guessing there is more rum in the berries, and more of the fruit sugars in the rum at this point. Categories: Infusion, Liqueur, Recipes | Tags: infusion, Liqueur, rum, Strawberry | Permalink. 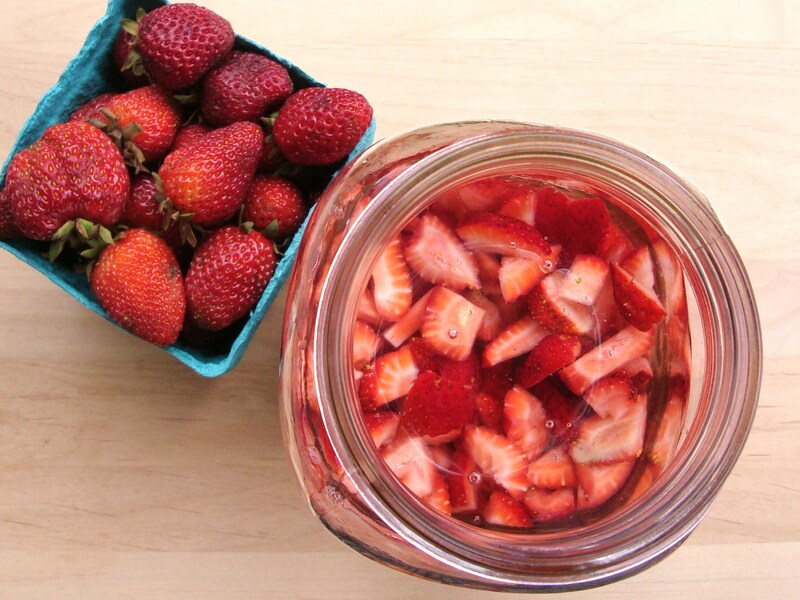 We started a Strawberry Rum infusion over the weekend. Today is day 5, and so far the color is gorgeous. As you can see, the rum has very quickly taken on the beautiful red color of the strawberries, and the strawberries are mysteriously lacking color. I always love when this happens. Right now the infusion smells like a lovely strawberry jam. The flavor tastes like strawberry, but not nearly as strong of a strawberry flavor as I would like. But I can see how some people would be perfectly happy with an infusion that is strictly rum and berries infusing for five days. For me… I’m still infusing. I’m not caving this quickly. Categories: Infusion, Liqueur | Tags: infusion, rum, Strawberry | Permalink. 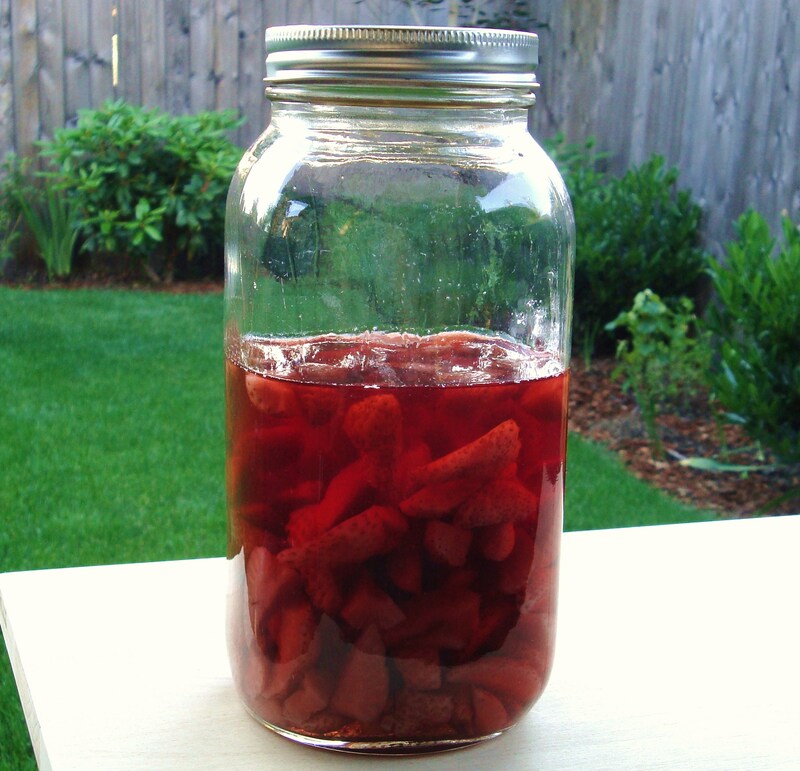 But before I did any canning, macerating, or otherwise, I pulled out a few pints for a Strawberry Rum. I have never done a strawberry infusion before. Typically, I wait to post a recipe until after I have completed the infusion and tasted it to make sure it is something I would recommend to others. The problem with that method is timing. Any of you who have been following for a while know that I tend to wait for long infusion times. For seasonal ingredients, it may be too late for you to make the infusion by the time I post the recipe. Strawberries have a fairly short season (at least around here). So I have decided to post this recipe a bit differently. 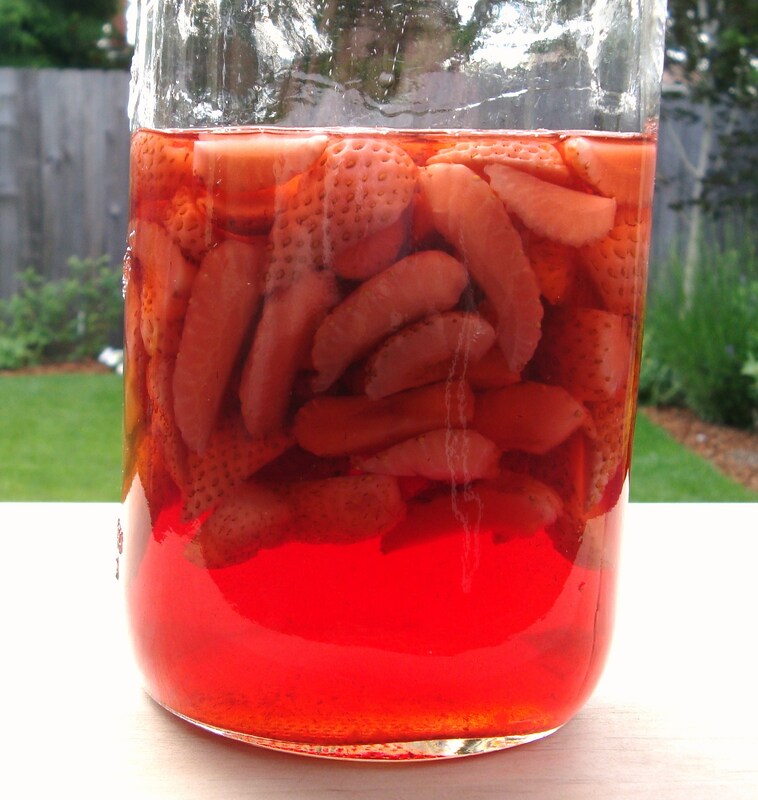 I am making a Strawberry Rum, and starting the infusion right now. If you are interested in making this, you can follow along with me. I’ll post updates every so often (but I doubt I will be straining for at least a month). You will want to shake or stir your berries every few days. I’m planning on infusing this for at least a month, but will start tasting it in a few weeks. At some point, I may also add some sugar or simple syrup. For those of you who want to do a strawberry infusion, but aren’t crazy about the idea of a strawberry rum, below are a few other ideas I have for Strawberry booze. I haven’t made any of these, but at some point in the next few years, I’m guessing most of them will have a spot in my infusion closet. Really, your choices are limitless. 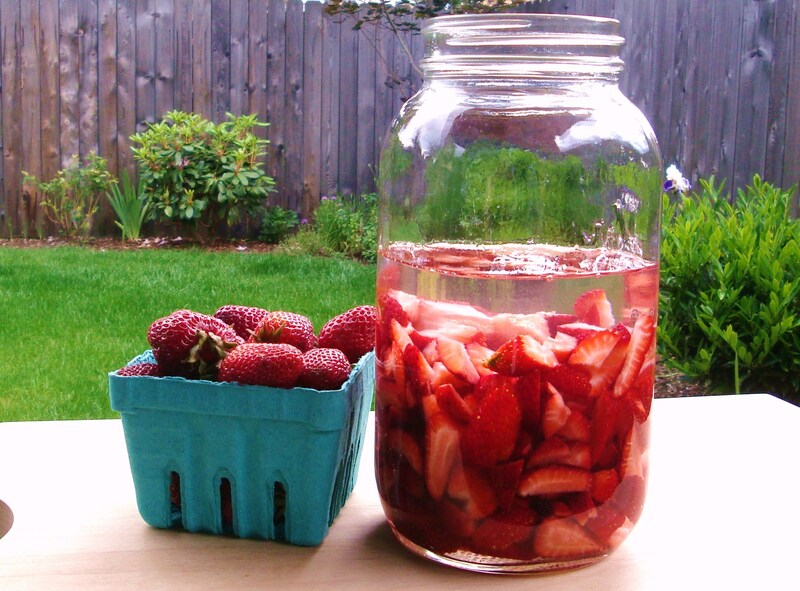 If you have done some strawberry infusions and want to share successes or ideas (or failures) please feel free. Categories: Infusion, Liqueur | Tags: infusion, Liqueur, rum, Strawberry | Permalink.